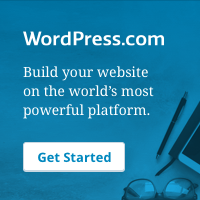 Now WordPress.com, a managed WordPress hosting platform, has officially supported the Gutenberg editor for all of its paid plans. Now you can join the WordPress.com and give it a little try on a new WordPress editor. There is a lot of interesting things to try it. The design looks nice and easy to use. I do not see any issue with the Gutenberg editor on WordPress.com. I’ve installed the WordPress Gutenberg editor on the other blogs that hosted with WordPress.org sometimes I got some issues with the Gutenberg editor. But With WordPress.com, a managed WordPress blogging platform, everything completely different, You will never see the issue with the Gutenberg editor because the provider has configuration all the necessary package for it work thoroughly. Try Gutenberg Editor with WordPress.com Today. This website is blogging with WordPress.com. The time has come, You have to accept the truth that the new feature takes over the classic one. A lot of people loving the classic editor than Gutenberg, they have to accept to live with a new feature that they might don’t want to. Which those people who don’t love Gutenberg feature, there is a one way to switch back to the classic Editor that they must to install a Classic Editor plugin. That way can keep the old way as it was before. While someone hates Gutenberg features, some others see it a new age of The content Editor. It is an all in one Editor that can stripe down the unnecessary things away. If you are a person who love the clean and simple Gutenberg is the right one for you. With Gutenberg, we don’t need to install more and more plugins like the way we ever do before to get the more features to decorate our blog, website. Okay, no we don’t. This time we need to put it away the old style and accepts the new one. The new one can save your time, money, and can minimize the load speed of your website. Because we don’t need a lot of pluigns we got Gutenberg, so that we do not need to install those stuff and Our website will load faster. With the old websites, the migration process between old editor and Gutenberg may be the pain. A lot of websites are using a lot of other plugins that does not support Gutenberg can turn your website to the doom. But some other websites with only text, images simply can migrate to Gutenberg easy without losing any content. If you open a new blog Gutenberg is a great welcome to you. Everything easy peasy like a cake. About me, After updating to Gutenberg, I love to write more and more contents. I keep writing everyday. I love to create the new content. I feel I was reborned. The Gutenberg has inspired me. Sometimes, at the first time the new thing very hard to accept but If you give it a try it will never fail you. Gutenberg just a child. Take time to like with it like the way you play with your children. I will love it soon. You can still use the WordPress Classic Editor from now until 2021.
Who love, hate Gutenberg feature? Put some lines below to say about your ideas. On this post, I will share you the way to export Word to PDF, join PDF files, convert PDF to Word, Word to PDF, images to PDF, PDF signature, highlight text on your iPhone. Which means you do not need to open the laptop or PC computer to handle these hard works. You can do it on your iPhone with the help of this app. Does it necessary to upgrade to WPS office premium on iPhone? This application is entirely free for word file editing, create a presentation or even a spreadsheet. It also free when exporting to PDF. But you must upgrade to premium version to get the full features. To convert PDF to Word you must upgrade to premium. The cost is quite reasonable so anyone can get the premium too. Below are what you’re going to get when upgrading to WPS office premium. – Save as PDF file. – A lot of templates for reading mode to select. WPS Office can open almost any type of document including PDF and Microsoft Word, PowerPoint and Excel. That means that when you use WPS Office to open a document from your favorite mailbox or from cloud service, it will definitely be displayed exactly as it is on your iPhone. Over the years, WPS Office has continued to improve with three core products of the WPS Office suite: Writer, Presentation, Spreadsheet. These products are fully compatible with Microsoft Office (Word, PowerPoint, Excel). With these versions, WPS Office increases the mobility available to every user, whether they are at the office, school, or on the move. – Writer, Presentation, Spreadsheet are 100% compatible with Word, Powerpoint, Excel. – Built-in PDF reader. WPS Office can not only convert documents to PDF files but also can open PDF files directly. You can also convert PDF to Word file too. – Also, support for PPTX format: Now users can create, edit and save all DOCX / XLSX / PPTX formats similar to Microsoft Office. – The interface is improved, eye-catching, easier to use, easy to switch. A new point of this software is that you can open multiple files at the same time and in the same window. The software interface is also quite easy to use and friendly. With WPS Office you can share your files via email, Evernote and more. You can also share presentations with others through smartphones, tablets using Wi-Fi. Now with the help of WPS office, you can continue your work at the office on iPhone anywhere, any time. As an internet user, it is always good to have a peace of mind while browsing surfing the internet. Sometimes this is made so difficult because of the ads that appear here and then while searching for something on the internet. That can be very stressful especially if the data you are searching for is urgently needed. That is why the Adguard premium is in place to help you get rid of ads that pop up while browsing. So why choose the Adguard premium lifetime subscription? The Adguard premium can counteract the ads that appear on your screen. This internet filter protects your phone from unwanted advertisements that appear on your screen while searching for relevant information. Well if you didn’t know some of the ads that just pop up on your screen are so dangerous and can harm your device especially if it is a mobile device. Some of these ads have dangerous viruses that only Adguard premium can protect your phone from such malware. 1. It can restrict some of the websites from the access of children. There are some contents that you might never want children to have access to. With the Adguard premium lifetime subscription; one can protect children from any harmful content. 2. It protects and blocks all types of unnecessary videos and most of those inconvenient ads that pop up while you are searching for valuable information. That is why it is best to have the Adguard premium to counteract all the unwanted ads. 3. You are always able to know which site is the best to browse on and choose the best website. Some of the websites that we see online are so dangerous. They have viruses and having zero ideas of how to go about them and prevent them from harming your device, and you will find out that your device will have contracted a virus and it will be too late. The Adguard premium lifetime subscription will help you a lot because it will show you the safe sites to browse on. 4. The Adguard premium can block ads before your pages load onto your browser. You might agree with me that speed is necessary on the internet and you feel so good when the browser is so fast or if you have a good internet connection. The Adguard premium will help you archive all of these features. TheAdguard premiumis very price friendly. At only $29.99 which is 74% off from the initial cost, you get to have your Adguard premium and enjoy your browsing on the internet. It has updates included on it and also it has covered the child restrictions, and these are only available for Windows users. The Adguard premium is compatible with devices such as Android 4.03 going upwards and also the Windows devices. It also works with the major browsers. With the Adguard premium in place, you get to enjoy the freedom of browsing because it will protect your device from all manner of malware. Making it a lifetime subscription is even much better because you will have a better experience while browsing. So why not upgrade today and enjoy! Note: this deal does not offer for iPhone, Ipad or IOS devices. But there is still have an Adguard Pro version that design for specific audiences of IOS devices(iPhone, Ipad). Does it Necessary to Upgrade to Spotify Premium? Well, did you know that with music, you can relieve stress whether you have a long day or want to feel relaxed? To achieve this, you need a continuous flow of music and Spotify is the right music website to be. If you are a true music lover, then you should consider Spotify premium. Personally, I’m a great music lover, and I cannot go a day without listening to my favorite music jam. This happens to be part of my life, and I love it. First, if you didn’t know, Spotify happens to be a free music website that has over 76 million daily users. In the year 2016, Spotify has over 40 million paid users recorded around the globe. Spotify premium has excellent features in that it allows users to create their playlists and this will make you design your favorite playlist that you can listen at your preferred time. Another fantastic feature about Spotify premium is that it provides a playlist that has different genres and moods that are already made for the user. Spotify premium also has a radio selection feature. It allows you to type in the song or even the artist’s name and it will play a song of the similar genre. With all these create features to your knowledge, why should you then upgrade to Spotify premium level? 1. There is an unlimited selection of songs. With Spotify premium upgrade, you are allowed to listen to as many songs as you like ranging from the oldest to the latest music genres in the industry. This is advantageous to you as a music lover because you get to browse through all the songs that you wish to listen to. Personally, I get to listen to Hip-hop and soft rock music genres, all these at my disposal ranging from the oldest to the newest in the music industry. Unlike Spotify premium, Spotify free mobile app will only allow you to shuffle through a couple of songs, and this is disadvantageous. Why? Because it will limit you as a music lover to walk through a couple of songs and prevent you from accessing the best of playlists thus, you will not be able to listen to your favorite music jams. 2. It is affordable and cheap. With all the features that I have mentioned above, you will not believe it when I tell you that they are only available at a cheap fee of only $12.99 per month! Affordable right? With all the coolest features, that price is so affordable and friendly to any music lover. As a college student, the rate cut into a-half. This is so much fun if you love music and paying that is way beyond the worth price. 3. It has zero advertisements. As a music lover, you will agree with me that ads can be so dull especially if you are searching for your favorite song over the internet. The free version of Spotify I’d filled with many ads, and they get into your nerves forcing you to listen to those ads. When trying to reduce the volume so as not to listen to ads, they pause until you turn on the volume forcing you to listen to them. There are zero ads in Spotify premium. That is why Spotify premium is the best. 4. You can sync songs to offline mode. This is the best feature on Spotify premium. It allows you to sync your music while you are offline. Having to listen to music offline is helpful. Personally, I work a lot and listening to music offline gives me a peace of mind. This is because of much data saved while you are offline. So why not try out an upgrade to Spotify premium today and have the best of music to listen to! The best office application in the world for iPhone, iPad can even be better! This all-in-one application can help you handle all of your documents on your phone. So you will never miss anything from your work when you’re going outside. Over 1 billion downloads and over 1.1k ratings on Apple App Store! View, edit and create office documents, presentations and tables perfectly compatible with Microsoft Office and Google applications. If you are a writer, looking for an application better than Microsoft office smartphone version. This WPS office is a better alternative for you. This application is a better alternative for Microsoft office, Google document while working on iPhone, iPad. It has a clean design and user-friendly interface in helping users feeling comfortable to make a new document. I’m a blogger. Besides workings on Laptop, I also use this application to create a new content to prepare for the next publishing on my blog. WPS Office can open almost any kind of document including PDF and Microsoft Word, PowerPoint and Excel. Which means you can continue your work from PC laptop right on your iPhone or iPad. WPS Office built with characteristics similar to what you saw in any PC office. It includes advanced text formatting options as well as the ability to add and edit photos, shapes, tables, and graphs directly to your presentations or documents. It times to work on your iPhone or iPad outside of your home, your office with the help of WPS office. You can work anywhere, anytime when riding on the bus or the subway. You can read, edit or even share it with your co-workers. WPS office is sharing this application with two types subscriptions free and paid. The free app comes with the ads inserted at the primary interface. It is annoying our look and feels. And it has some limited features that only available for the paid plan. When you upgrade to WPS office Quarterly or yearly, you are going to get all these features enhance too. – Compress any documents files to the smaller size. Reduce file size, transfer faster, save space. Don’t let the free version stopping your steps. Upgrade to premium now to get these features for your office works. I’m using this application every day via my phone. Sometimes, I’m going outside, and I don’t have the laptop in hand, I use it to view some works from my co-workers sending to me. And I don’t need to wait until I come back to home. Bluehost is one of the most popular web hosting services across the world. It’s one of the three recommended by wordpress.org. It provides different varieties of hosting solutions ranging from newbies to larger business. Why Do You Need Bluehost? Before setting up your website, you need a domain name and a hosting platform that will put your site live. Bluehost’s primary aim is to provide you with these two services – website hosting and domain name. Besides, Bluehost produces content designed to boost your site’s Search Engine Optimization (SEO). This helps you to increase your website rank on the Google site. This tactic generally improves your business in general. Bluehost also helps you to set up your website on WordPress. WordPress features Bluehost with a control panel known as Bluerock platform. This platform aims at providing a hosting platform ideal for running WordPress websites. If You want to open your online business, you must use this plan. The BlueHost Woocomerce + WordPress hosting plan is a simple way for your online business store. You don’t need to do the hard installation the first after you had purchased the service. All hard works as the installation+ configuration are all done by itself. You just access your Woocomerce hosting and start to prepare for your store. Bluehost provides affordable hosting plans in the market. The Bluehost price is reachable to most users, more importantly, the newbies. Besides, there are no other hidden fees when signing up for Bluehost account. Blue host lets you interact with their expert team anytime to ensure that everything you need for your website hosting is placed in order. Bluehost users are free to inquire about the things necessary to make their site more efficient via their online chat, phone or email service. Bluehost has a database that provides users with knowledge through video tutorials and supports documentation. This means that both beginners and experts are exposed to extensive help. Bluehost not only aims at providing excellent support for its clients but also offer a user-friendly control panel. Its advanced cPanel helps you to manage your website, emails, and domains from one central location. As a result, this panel helps you to save the time of your operations. Bluehost guarantees its users complete protection for their website. It is built with Secure Shell Access (SSH) to allow admins and web developers to access their configuration file securely. They also offer other security features such as an IP address blacklist, private keys and password protected directories. In addition to that, Bluehost lets you enjoy a free domain name for one year after signing up for their services. It also offers advertising credits on Google’s AdWords and Bing. Bluehost provides you with a variety of hosting packages. It comes with four plans with affordable price depending on the services you need. These plans include Basic Plan, Plus Plan, Prime Plan, and the Business Plan. This plan is mostly ideal for bloggers. If you are also a beginner, this plan has the best answer to your dream. The Basic Plan enables you to host one website. It is also accompanied with 50GB storage space per account, 5 email accounts with 100MB storage for each account and 25 subdomains. This is the most known Bluehost’s plan which cost $4.45 per month as the first price. Plus Plan also comes with tons of benefits including unlimited email accounts, unlimited web storage, and bandwidth, unlimited websites, and subdomains. Prime Plan comes with more benefit compared to Plus Plan. It provides you with all the features contained in Plus Plan. Besides, it offers you domain privacy and site backup pro. This plan provides you with everything offered by the Prime Plan. Additional benefits you get from this plan include dedicated IP, SSL Certificate and Spam Experts for two domains. You can manage the state of your WordPress themes and Plugins inside the BlueHost WordPress hosting panel such as update, install-uninstall a new template, new plugin. When it comes to providing the best website hosting solutions, Bluehost WordPress is considered to give the best answer ever. Its back up by WordPress Organization has given it a great advantage to serve and provide an ideal solution for both admins and web developers across the world. As we have seen, Bluehost offers various hosting plans which comes with different prices to reach all level of customers in the market. Its starter plan is affordable and provides 24/7 support from their expert staff. With all unique features which are user-friendly, this attests that Bluehost is the best option for you. Therefore, if you’re thinking of starting out as an admin or web dev, consider signing up for any Bluehost Plan. It’s cheap to start and you will upgrade as you continue growing your business. Have Bluehost WordPress and experience an amazing adventure on your blog and website journey. WPAP Art – Where is the place to hire designers? This article will show you how and where to hire the designers with the best talent for turning a photo into a WPAP Art. Converting photos into WPAP image is an excellent art of its kind. The maker behind this trending style is Wedha Abdul Rashid. Finding a technical specialized to turn images into WPAP can sometimes be challenging. This leaves many people who are aspiring to make WPAP images to wonder on the best places or platforms they can use to hire the designers. Today, I’ll help you to know the best site you will find WPAP image designers at a lower cost – starting from $5, but before going into details on this, let’s first understand what we mean by WPAP image and a small history behind it. WPAP stands for Wedha’s Pop Art Portrait. The maker of this style is a graphic artist by the name Wedha Abdul Rashid, originally from Indonesia and he invented it in 1990. WPAP art portrait design uses the principles of vector art involving tracing on a photograph of the subject. On his career, Wedha worked at Hai magazine where he used to make portraits illustrations of all famous figures including artists, musicians, and politicians. As the adage goes, “Old is Gold,” Wedha made this style after finding it expensive and difficult to draw a realistic and detailed face of a character, due to his aging sight. WPAP is the easiest way to illustrate human portrait using varying colors and decorative shapes such as sharp angles and straight edges. This style has been commonly used to represent portraits of famous people, usually in magazines and newspapers. Today, WPAP style has grown and increased its popularity as part of the pop art style. What Can You Do With Your WPAP Image? Having your face depicted in WPAP style can be as exciting and fun experience as having a WPAP image for a famous person. You can use your WPAP as an avatar for social media network including Twitter, Facebook, and Instagram. Besides, you can use your WPAP image in your newspaper or magazine. A WPAP image can make your Instagram look nice. It can help you PR your Name to a higher level. If you’re planning to create portraits in WPAP style, you need Adobe Illustrator and Adobe Photoshop. Besides, you can also use Adobe Flash, CorelDraw or Microsoft Word. Do We Have Challenges in Creating WPAP Art Portrait? Since WPAP is an illustration of the actual face of a character, coming up with WPAP image that resembles the character can be a challenge. The most challenging parts to get right are eyes, mouth, and nose. These are the parts that will mostly determine the look and familiarity of the person. There is a need to keep the subject recognizable while designing your WPAP image. As a result, you need to get special designers who will complete this up to your desires. Now, the question is, where will you get these WPAP designers, and at an affordable price? Let’s keep going. Believe me, don’t try the hard work on your own. Let’s put it in the hands of the talented designers. Quality is one of the factors considered by any person ranging from business people to customers. To be honest, coming up with quality WPAP art design is not as easy as selling a service. You need dedicated professions who aim at not only conceptualizing high-quality WPAP images but also doing it within your budget frame. Fiverr is arguably the best platform where you can get your WPAP art portrait designers at a reasonable and competitive price. With as low as $5, you will get help to grow your business with the help of artistically fiction characters. Fiverr is the number one online platform in the world for $5 services. Its services are categorized in 12 major groups, among them is Graphics and Design whereas a client, you can find and get quality designers to work on your WPAP design starting from $5. Therefore, for you to get designers in this marketplace, you need a Fiverr account, which is quick, easy and free to create. Fiverr is one of the largest marketplaces in the world. As a result, there are thousands of professions who are providing services on a daily basis. Fiverr allows you to view top performers which makes it easy for you to choose a person of skills you are searching. Breaking into the Fiverr market is also easy, making you get the best designer for your WPAP images. Pricing in Fiverr is simple. All you need to do is to check out for the competition within designers according to the services they are providing and decide on who to pick. The pricing has an increment of $5 which is easier to scale your budget quickly. If you do your selection right basing on the gig posted by different designers, you will get quality designers who will complete your job quickly and offer you quality service as well. With Fiver, be sure to have total protection on your details. Fiverr does not share anybody’s information with any third-party. It only shares information that assists you as a client and your customer in learning more about each other. This makes you do your business transaction with your employee at ease. As a buyer, you have nothing to lose with Fiverr. This is the best platform to find a quality designer for your WPAP Art Portrait. Sign up for free and find your best WPAP art portrait designer.